Each of our committees represents a way to become involved with our organization based on any number of interests that you might have. and grazing systems for Minnesota farmers. Encouraging exchanges in the performing and visual arts. Minnesotans have hosted visits by Uruguayan visual artists and musicians to participate in a number of cultural events in Minnesota while Uruguayans have hosted in a number of different educational exchanges. development between Uruguay and Minnesota. Since 2006, teams have been traveling between Uruguay and Minnesota and have helped to support the establishment of the first parole program in Uruguay's history. This model has been studied widely by systems across South America. In July 2013, Partners sponsored the International Seminar on Alternatives to Incarceration in Montevideo, Uruguay. The seminar was a part of the Minnesota-Uruguay Partners’ Justice Reform program, an 8-year program. 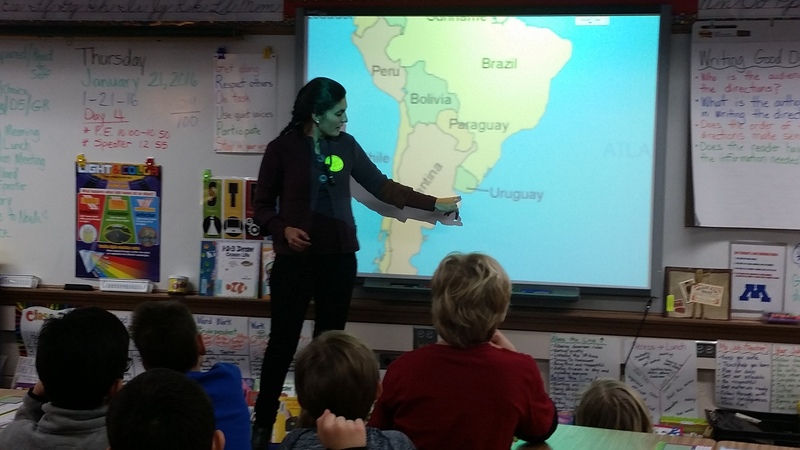 Supporting high school and college-level student and teacher exchanges between Minnesota and Uruguay. acquire ideas for AIDS prevention and care. Ongoing work is also focused on diabetic care.